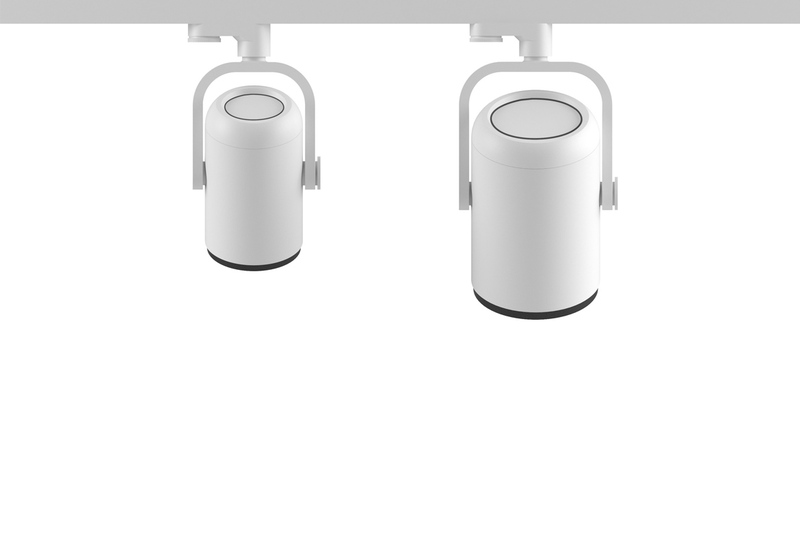 The modular lighting kit was dressed in a minimalist design with clear shapes and contours: a puristic cylindrical body - combined with a discreetly contoured top for the control gear. 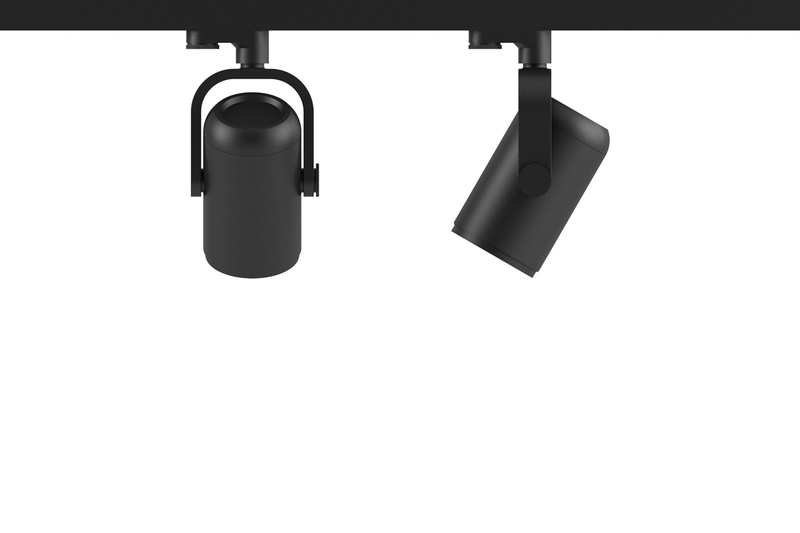 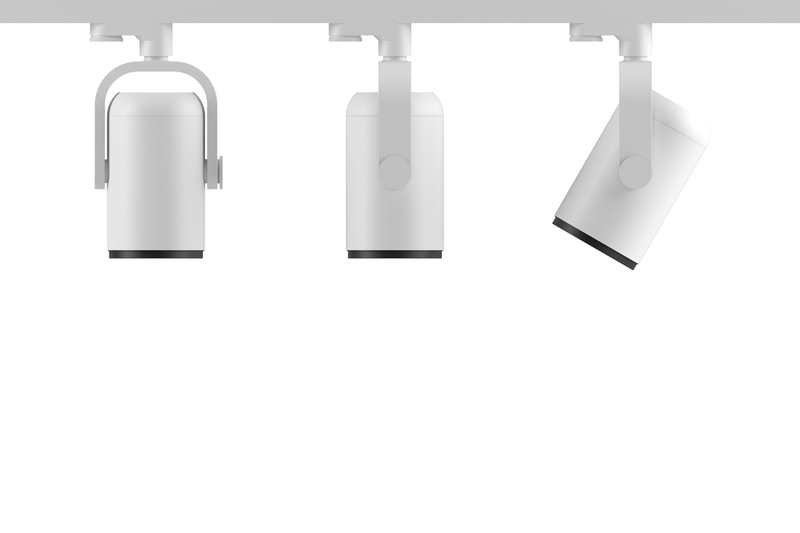 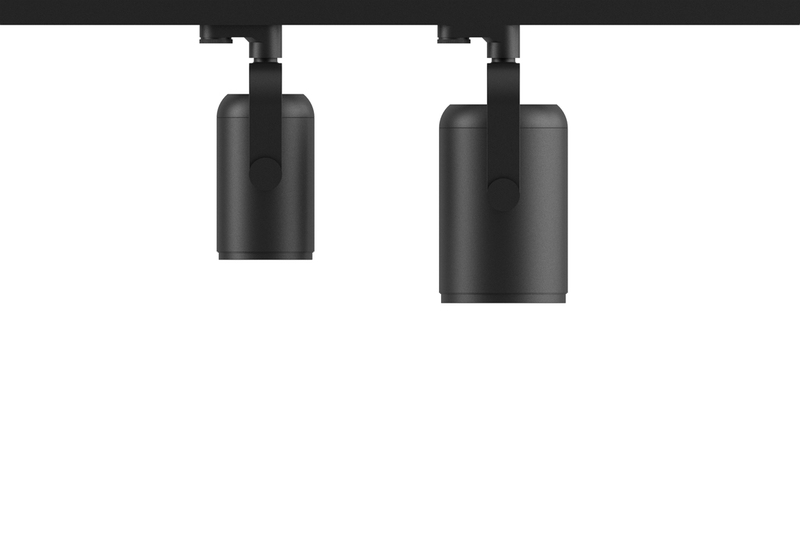 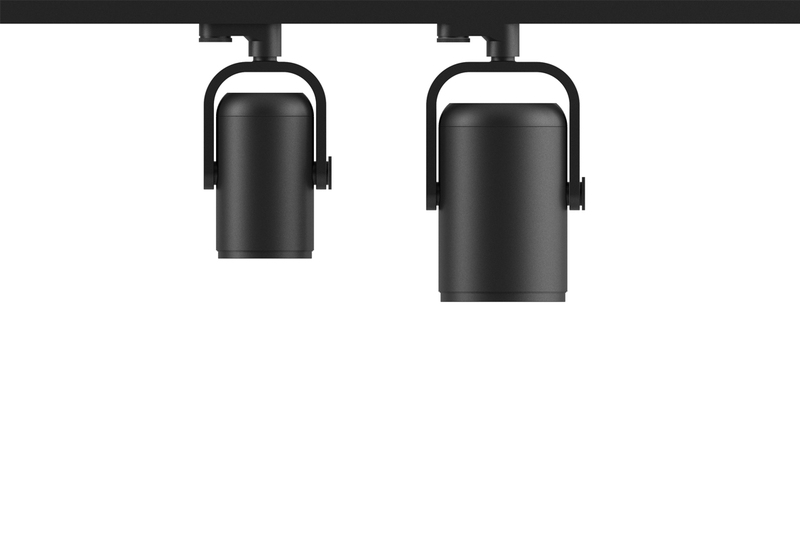 The different spotlight sizes M and L as well as the different beam angle characteristics spot, flood, wideflood and very wideflood ensure the greatest flexibility in staging with light. 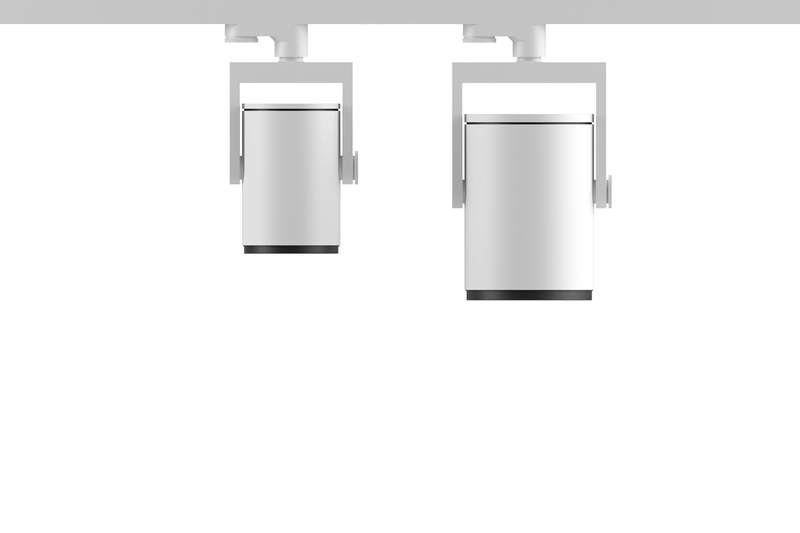 the whole product family has a restrained appearance which leads to a calm and decent ceiling look. 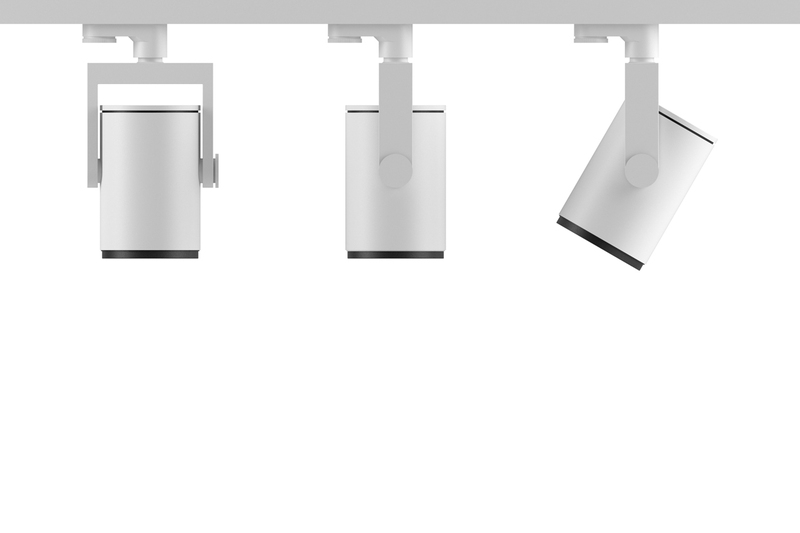 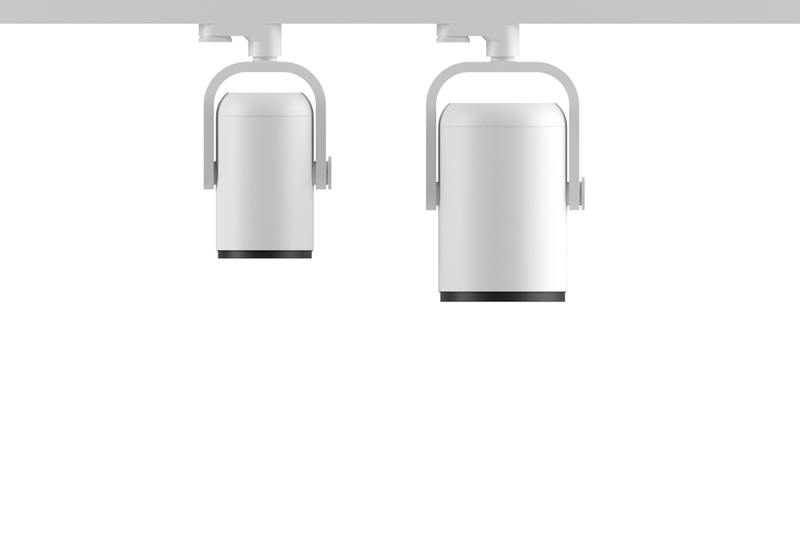 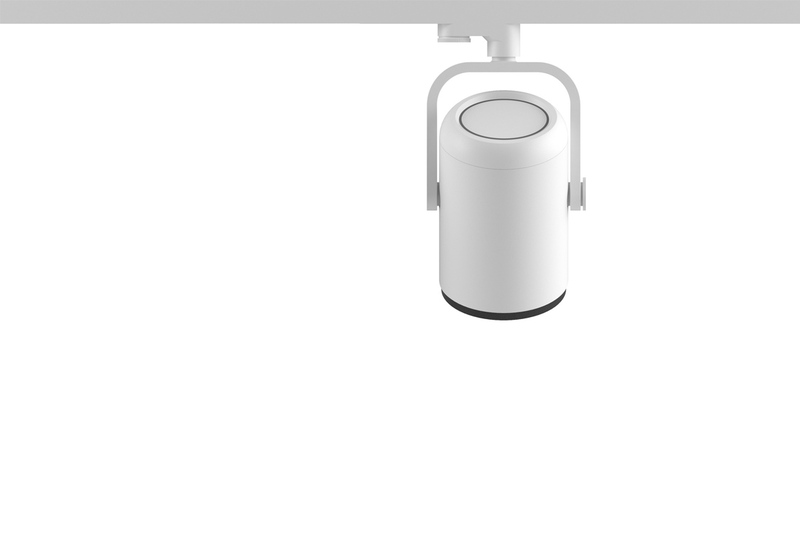 The pivot points of the spotlights are designed so that the lamp can be set up precisely by hand.